Spirals & Spatulas: Plaid is Rad. J and I like to make fun of couples who match each other. The other day we were at HEB, and this couple walked out...and not only were they both in khaki pants and a light green shirt, but their little girl was matching as well. They weren't exactly matching...you know, like it was enough off that they obviously didn't wake up and say "Hey, let's wear the same thing." 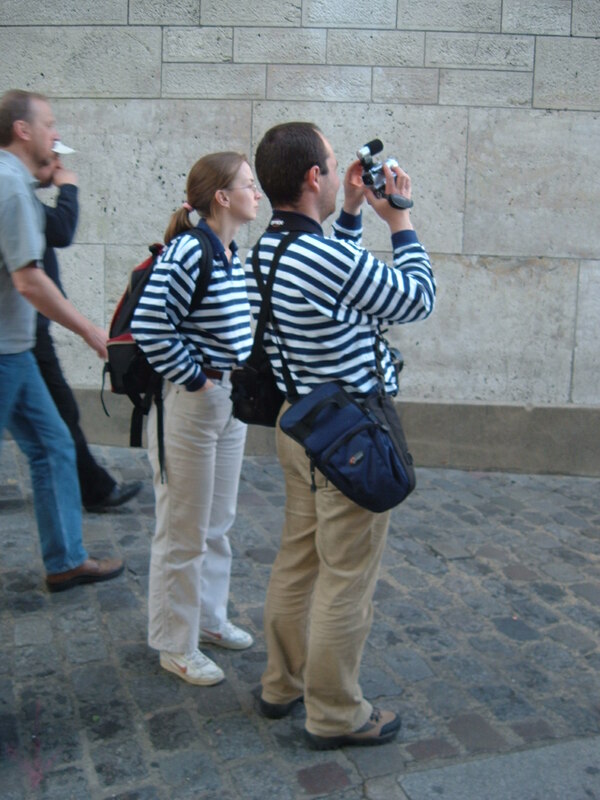 But somehow they ended up wearing the same thing anyway. Yeah, we make fun of those people. Or at least we did...until it happened to us. This was us at a sorority party on Saturday. 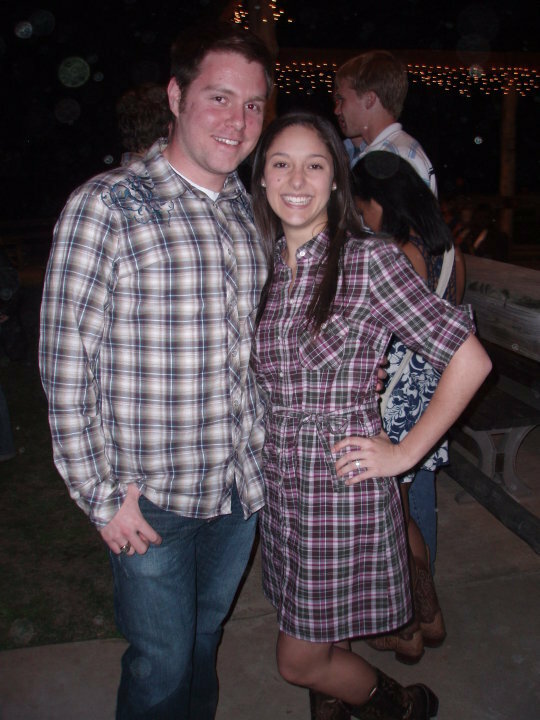 I had already picked out and ironed my dress, and I WAS NOT going to change....and he only brought that one shirt from Houston. 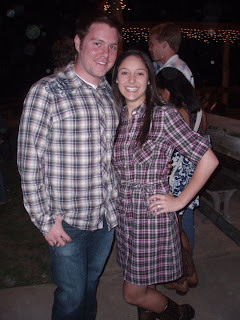 So, "Plaid is rad" became our catchphrase of the evening. So I'm wondering...is this just something that happens once you have a ring on your hand? If so, I feel pretty bad about all those people we ever made fun of. To you, green family at Kroger, I sincerely apologize. Lesson learned: Don't make fun of people. It will happen to you.